Trust embodies our approach to relationship-based investment banking – without it, all else is moot. Experience speaks to the fact that all assignments are led and executed by senior professionals who have deep experience – at its core, this is why clients engage Cascadia. Independence enables us to focus on advice and solutions that avoid structural conflicts and provide a wide array of options. Results speak for themselves – we are intensely proud of the fact that we have shared in the success of our clients. The pursuit of excellence. I have a resilient confidence in my ability to affect optimal outcomes in strategic corporate transactions – this is done through creativity, rigor, endurance and communication. I am passionate about family, sports and travel. I am extremely fortunate to have such a strong grounding in my family and I work hard so that I can spend time experiencing life with them. When I am not working, I can usually be found at an ice rink or on a field or other sport venue cheering on my children. Sports have been a large part of my life and I attribute the development of important characteristics to competition and athletic development. Being Canadian, it is essentially required that I be passionate about ice hockey – so I am. I love to travel and I am fortunate that I get to experience different countries and cultures in doing what I do for a living. With two decades of combined experience in investment banking, corporate law and commercial real estate investment advisory, Jamie brings a unique, valued and experienced perspective to his work at Cascadia. He has extensive experience working with family and institutional shareholders solving complex problems with innovative advice and has particular expertise in cross border transactions. In all that he does professionally, Jamie prides himself on his clients’ successes. Jamie leads Cascadia’s efforts in the Energy & Applied Technology sectors, as well as the Real Estate sector. 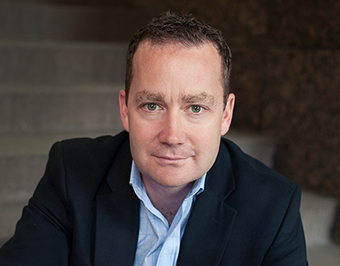 Jamie has been a Managing Director and investment banker at Cascadia for over ten years. He has personally advised on billions of dollars of innovative and industry leading transactions in his career to date, and has enjoyed being a part of building Cascadia into the firm it has become. At Cascadia, Jamie leads the origination and execution responsibilities for a global client base seeking M&A, capital raise and complex corporate finance advice. He founded and co-leads the firm’s Energy & Applied Technologies practice, in addition to the firm’s Real Estate investment banking practice. Prior to joining Cascadia, he was a lawyer practicing corporate securities and M&A law on the East Coast for an international specialist law firm called Dechert LLP. Before entering the legal profession, he worked in Vancouver, Canada at Colliers International, where he advised corporate and institutional clients with respect to significant commercial and residential real estate investment transactions. Jamie holds a Bachelor of Commerce (BComm) degree from Sauder School of Business at the University of British Columbia, a Juris Doctor (JD) degree from Gonzaga University School of Law, where he was a Thomas More Scholar, and a Master of Laws (LLM) degree from New York University School of Law. He is a member of the Washington and Pennsylvania State Bar Associations and holds FINRA Series 7, Series 69 and Series 79 Securities licenses. Jamie is involved with a number of community and charitable endeavors, as well as being an active member in the business community serving in board and management advisory capacities to a number of organizations in the United States and Canada. Founded the firm’s Energy & Applied Technology practice. Founded the firm’s Real Estate practice. Extensive cross border and special situation expertise. Family is the first priority. Extremely active and engaged outside of work with wife and two children. Passionate about all kinds of sports and is a devout fan of the Vancouver Canucks. Jamie founded the firm’s Energy & Applied Technology and Real Estate practices and is pleased to share his thought leadership with clients and partners. View more resources here.